This trek is for active and adventurous people who enjoy hiking and love to get to know the local people and their culture. 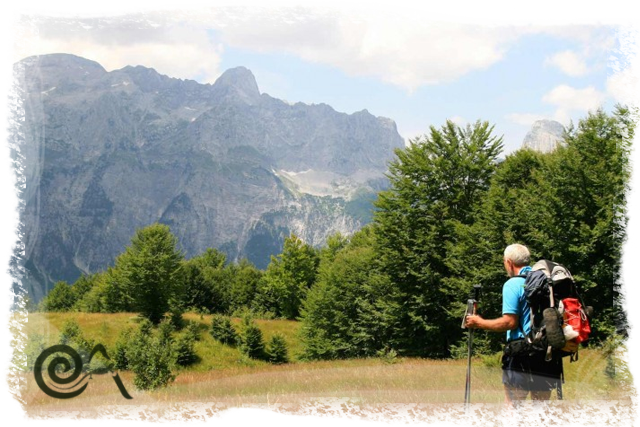 You will hike the classic pass of the Albanian Alps that has linked the two most known valleys of the area – Valbona and Thethi – for centuries. The approximately 7-8 hour hike between these two authentic villages takes you past refreshing springs of water, spectacular views and unique natural beauty. This hike is not the only highlight of the tour; you will also experience the local culture by staying in village houses, then take an amazing ferry ride on the beautiful lake of Koman. This tour can be booked via the Book this Tour button. A self-guided tour is a self-governing tour where one navigates a route oneself as opposed to an escorted tour where a tour guide directs the route, times, information, and places toured. 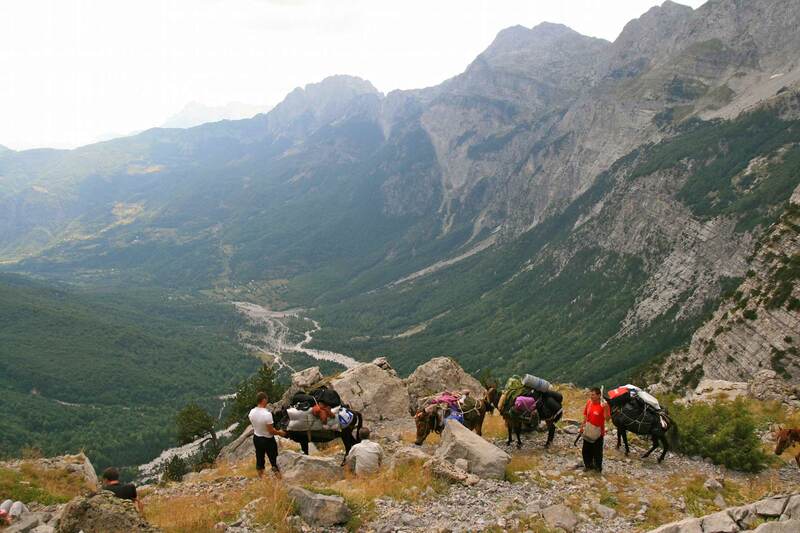 The hike from Valbona to Thethi is accompanied by a mule/horse that carries the luggage. It is therefore important that you use a bag for your luggage, not a suitcase. You will carry your own day backpack. 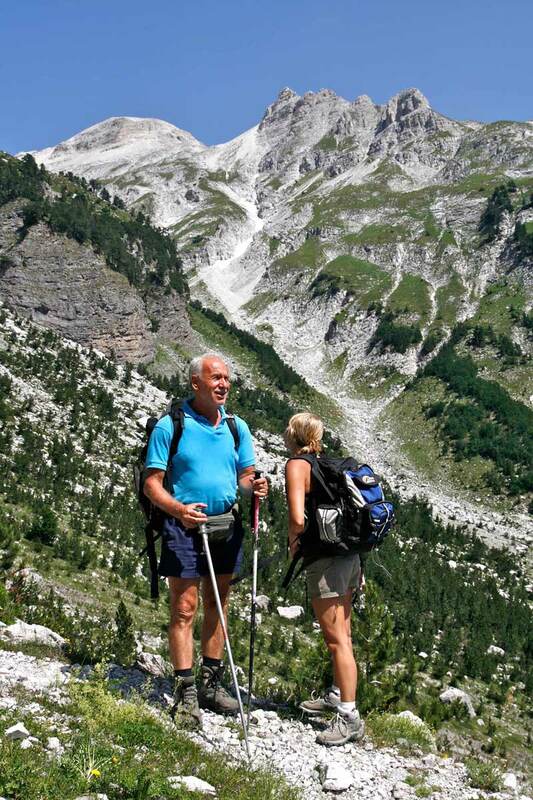 Children joining this tour should have experience with hiking. An adult need accompany children under 18. 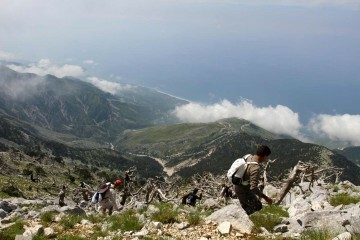 Early in the morning you will depart on a scenic drive from Shkoder, to reach the docks in the dam of Koman. The homonymous lake beyond it, was artificially created in the 80’s after the construction of the third hydropower dam that interrupts the canyon of river Drin. The spectacular boat ride through gorgeous landscape that will follow from there, is a not-to-miss highlight of Northern Albania! At the end of the navigation, step out of the boat with your luggage in the dock of Fierza, find a local van parked outside and sit in to drive for about one hour through the narrow valley of Valbona – one of the most beautiful valleys of the Albanian Alps, where you will be hosted in a comfortable local guesthouse. 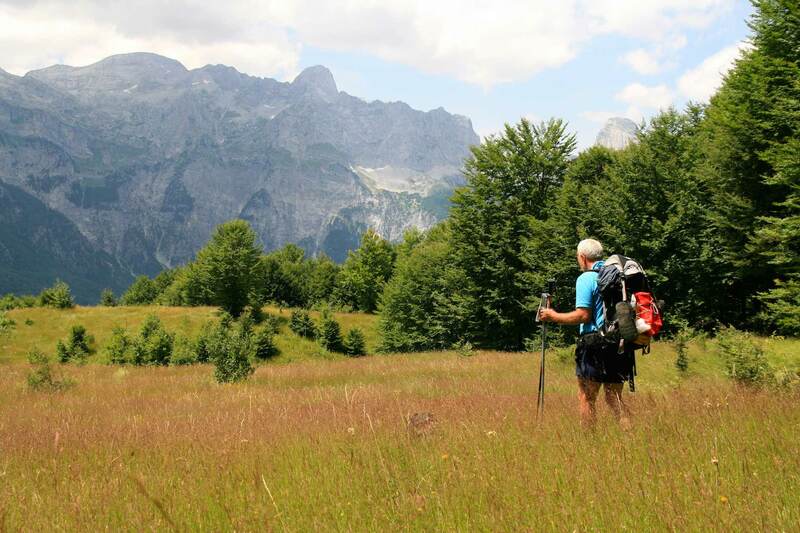 Today you will hike on a ‘classic’ trail of the Albanian Alps that for centuries connected the glacier valleys of Valbona and Theth via the 1860m high Valbona Pass. The pass becomes possible to cross on foot from the end of May, when the snow melts enough to let people and animals through. After breakfast, be ready to leave at 07:45hrs, load the luggage on horse led by a porter that will act as local guide, salute the hosts and start hiking towards the end of the valley for about 6km until leaving behind the last houses of Rrogam. 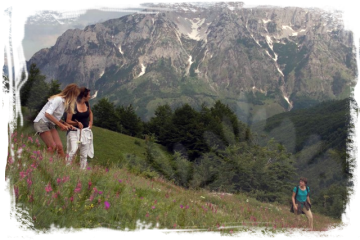 In the afternoon you will relax in Thethi, the best-preserved alpine village of Albania, overnight in one of the traditional houses in the valley and enjoy the extraordinary hospitality. 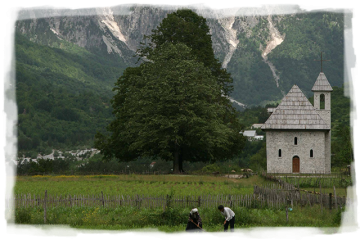 Thethi is the most known village of Northern Albania. The small village has been described by several well-known writers, that were impressed by its stunning and rather inaccessible location in the middle of vertical mountains. Still today, most of the houses or ‘kulla’ are built in grey stone and roofed with wooden planks. Traditions remain strong and authentic.